From its humble beginnings in Kankakee, Illinois, in 1938, Dairy Queen has grown from a delicious experiment in soft-serve ice cream to a household name with more than 5,900 restaurants around the world. The shop’s signature frozen delights are built upon a frosty foundation of creamy chocolate or vanilla soft serve, which swirls idyllically into cones, cups, overturned top hats, sundaes, Peanut Buster parfaits, and the chain’s iconic Blizzard treats, blended with crumbled candy and other mix-ins. 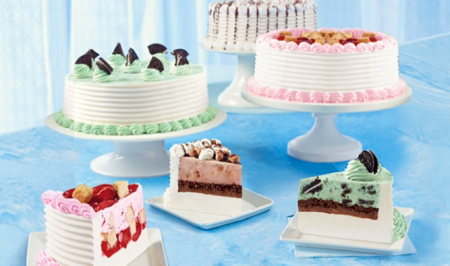 Ice-cream cakes cleverly conceal a surprise filling of fudge and chocolate crunch between layers of vanilla and chocolate ice cream, providing sweet, sliceable sustenance for birthday parties and other special occasions. Promotional value expires 60 days after purchase. Amount paid never expires. Valid only at Robson Street location. Limit 1 per person, may buy 1 additional as gift(s). May be repurchased every 30 days. Limit 1 per visit. Must use promotional value in 1 visit(s). Not valid with other offers or promotions. Merchant is solely responsible to purchasers for the care and quality of the advertised goods and services.